practitioners all over the world to obtain and transmit information quickly and easily. An essential constant in this changing environment is the requirement that information remain accurate, clear, unambiguous, and ethically sound. manuscripts, and preparation of figures, tables, and structures. 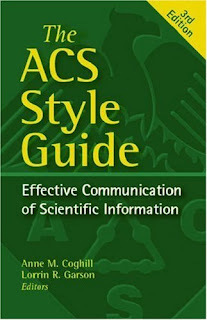 In keeping current with the changing environment, this edition also contains references to many resources on the internet. author, reviewer, or editor. The Third Edition is the definitive source for all information needed to write, review, submit, and edit scholarly and scientific manuscripts.